Thank goodness for schools. Due in large measure to schools and the efforts of teachers, children grow up learning from critical appreciation of the attitudes and prejudices of generations that have come before. Schools and teachers help give successive generations the freedom to go beyond the limits of those prejudices and practices. Attitudes to wars, gender equity, relationships with the environment, growing appreciation of the dangers of smoking and of drinking are simple examples of areas in which schools and teachers have played a part (only a part) in shaping changed attitudes and behaviours. But perhaps the most important change is that related to an understanding of and tolerance for those practices and attitudes related to respecting the language of the first people of our nation, the people of this land, the tangata whenua, Maori. Not that long ago it was possible for a woman to be sacked in New Zealand for answering a business telephone with the greeting “Kia ora”. Not that long ago it was possible for sports talkback hosts to question why we must have “two national anthems” sung at the start of sporting events. Not that long ago physical battles (such as Bastion Point and the Raglan Golf course) were still being fought for land. Oh yes, there has been progress but its fragility with regard to language has been well exposed by the events of the past week in Wanganui. The recommendation of the National Geographic Board was that the town called Wanganui to this point, have its spelling brought into line with what the Board accepted as the correct spelling – Whanganui. This is a learned, qualified and experienced group of people who if they were making recommendations in any field other than the emotionally charged area of language, and about anything other than the name of the town of Whanganui, would be taken seriously and with respect. But not so the National Geographic Board so far as the Mayor of Wanganui, Michael Laws, is concerned. He characterised the group as undemocratic, self-appointed and unrepresentative and so on and claimed that they had in “one foul swoop” committed this grave injustice. I would like to think that he actually and correctly said “one fell swoop” and then cleverly turned it into a pun “for that is what it is – foul!” But I suspect he said “foul” and meant “fell” – pity, it was a good pun! When such issues arises, everyone seems to be an authority and expertise on matters linguistic comes from most unlikely sources. Language is never fixed, it changes and is dynamic. English is perhaps the most changing and dynamic language of them all and has been so for hundreds of years. So it is little surprise when a language steeped in oral tradition, but much more recently captured in writing, is settling down. Early missionaries approximated what they heard, using English letters to represent the sounds they heard even when those sounds might not have been the same. They didn’t always get it right. The aligning of the name of the city with the name of the river with what is standard and acceptable usage to mana whenua is part of this natural process. Issues such as whether the beginning of some words in Maori is closer to an “f” in some areas and not in others and to a “wh” as in “where” in some areas and not in others are just that, issues that require the considered views from those who know. Answers to why the “-ere” combination of letters in Maori presents a challenge to English-speakers are to be provided by phonologists and linguists. What is most helpful to the processes of arbitration in linguistic matters relating to Te Reo Maori is the Maori Language Commission Te Taurawhiri I Te Reo Māori. Rather than criticise it for acting as some kind of language police we should welcome its ability to guide us and to right errors that have crept into usage. It also charts pathways forward as it guides one of our three official languages into pathways for the future. And changing the name of a city is really such a small issue (let’s not even consider the correction of spelling mistakes!). Bombay becomes Mumbai and the world does not tilt on its axis. Six cities in the north of New Zealand will change their names completely when the super city/state is in place. Countries even change their names with ease – the Gilbert Islands changed to Kiribati, Ellice Islands favoured Tuvalu, Western Samoa became Samoa – just a few close to home. New national anthems appear and are sung with gusto (e.g. South Afrika) and new flags are flown just as quickly as they can be designed. Changing a letter in a city name really is about the most insignificant issue in this whole area of identity. Thankfully the next generation will see the fuss for what it is and will be keen to join the big wide world where blilingualism is the norm. Ireland, Canada and Wales are all countries with which New Zealanders feel comfortable and are all diligent in respecting their dual language responsibilities. Let’s get on with sorting out the wider issues and ask the National Geographic Board to provide guidance on the Maori names of all towns and cities in New Zealand. This would be a process that would correct historical mistakes (perhaps the name of Kaikohe should be Kaikohekohe) where they occur and provide a bilingual option where English names are used. Young people in our schools would love to be involved in such a process and would embrace it. Not for them the narrow minded linguistic mores of the past. There used to be a joke that if you spoke many languages you were multilingual, if you spoke two languages you were bilingual and if you spoke one language you were English. And if you drop your aitches? There has always been a connection between university student activity and alcohol. The university Easter and winter tournaments always featured the “drinking horn” in which the universities of New Zealand would pit their skills the one against the other to establish who could down a glass of beer in record time. Social activity was usually centered on drinking. But these events for students were good natured and greatly raucous affairs characterised by much cheering and so on. After 3-4 days of sports (and other activities such as the law moot) the students would head home agreeing that it was the best tournament they couldn’t remember! The events of the past weekend saw an event called the Undie 500 take a group of Canterbury University students to Dunedin where their presence was a signal to University of Otago students (and no doubt various hangers-on) to indulge extravagantly in boozing, rioting, police-baiting, arson and anti-social behavior. Apart from that the weekend seems to have been a success! What was more interesting was the commentary that accompanied all of this. The University of Canterbury stood back a little noting that most of those arrested were from Otago. That’s all right then? They also quite reasonably wondered whether not holding the Undie 500 would simply lead to a rogue event as happened last year. I have little patience for the suggestion from Canterbury that perhaps a safe a fenced-off venue could be found for the event – why condone events that seem inevitably to end up like this wherever they might be held? But I did feel some empathy with the Dunedin suggestion that the Canterbury types could drive around Christchurch and then park in Cathedral Square for the partying. This gets to the nub of the issue. Much of the Otago behavior comes about because the students are “away from home”. That is a key marketing appeal to the young of Otago as a university and of Dunedin as a university town. I have been told by a number of parents that their teenaged sons and daughters were “going down to Otago” to university – this inevitably followed by haw haw comments about letting their hair down etc etc. 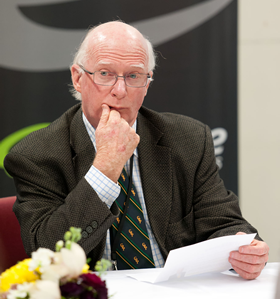 It is what Otago and Dunedin have a reputation for among certain groups of young students. Where else in New Zealand can you drag your furniture out into the street and set fire to it? Where else in New Zealand can crowds of some hundreds riot and hurl bottles at the police and yet only some tens are arrested? What if the events of the weekend had occurred in New Plymouth? There would have been a great collective gnashing of teeth. Are there enough police in our communities? What if it had occurred in Auckland? There would have been a call for a national response by the government – talkback sociologists would have mused at length on the effects of poverty and alienation. Possibly the army would have been placed on standby. But what if it had occurred in Manurewa? Or Flaxmere? Or Whanganui? Well, we would have had a field-day then and every prejudice would have surfaced to both explain it and to identify solutions to it. But it didn’t happen in any of those places – it happened in Dunedin. And those taking place were the sons and daughters of the well-heeled from all those other places. This collection of the youthful, rich, well-to-do, white middle-classes showed that when called on they can sink to appalling levels of behavior at least as low and possibly lower than those achieved anywhere else in New Zealand. The recent report of the Law Commission Alcohol in our Lives: an issues paper on the reform of New Zealand’s liquor laws was a balanced and thorough investigation of the issues relating to alcohol in New Zealand. It identified clearly issues of youth abuse of alcohol and of student behavior. It’s extracts from the diary of an Otago University Year 2 student for orientation week makes for pretty astonishing reading. The case study on the 2009 Otago University Orientation Week (p.62) is sad reading for it shows the extent to which the resources of the police are deflected from serving the community to simply containing groups who cannot contain their booze. What are schools and tertiary institutions to do about all this? Schools could take an absolutely uncompromising line on alcohol and school balls. In fact it is hard to believe that many school balls serve any more noble purpose than the Undie 500 –­ an overture to the main event. Tertiary institutions can use their disciplinary measures to punish students who bring institutions into disrepute – that would include most of the students in Castle St on Friday and Saturday nights regardless of whether their behaviour was so extreme as to attract the attention of the police. The issue of alcohol and students is a significant one in the United States where a lot of the issue is associated with college sport. That is not the case in New Zealand although sport and alcohol is an issue. Ironically, at the same time as the Dunedin troubles, ex-All Black (and ex-Otago sports star) Byron Kelleher was arrested in France for driving his car while sufficiently drunk to be reportedly incapable of completing a breath test. Otago University and Dunedin have well and truly had the focus of public scrutiny on them this weekend. But the rest of the country would be well-advised not to see the issue as belonging only to the deep Celtic south. Many of those students will return to their homes soon – could be to your house, or next door, or to your street, or certainly to your suburb or town. There’s food for thought. The Government in New Zealand, like its counterparts in the UK, Australia, the United States of America and Canada, seems to realise that powering up education to get behind any economic recovery that will be sustainable relies on their being able to stimulate the participation in and appropriateness of technical education. Each of these governments share a view that a sustained economic recovery cannot take place without a skilled and well-trained work force. Little wonder then that the technical education sectors are coming under both the microscope and the blowtorch in each of these countries. This has seen a reversal internationally of the relative underfunding of Career Technical Education (CTE), as it is now commonly called, and with that a much closer scrutiny is being paid to its organisation and delivery. In New Zealand we have seen this trend. In developing a policy setting for senior secondary and post-secondary education that highlights skills, trade academies and the Youth Guarantee policy, the Government has signalled clearly that it too expects to see greater emphasis in this area. The first shots have been fired with a wholesale review of the nature of governance in the ITP sector. Moving away from large Councils based on a representative model, the recent Education (Polytechnics) Amendment Bill calls for slimmer councils of eight members that reflect the skill sets required for governance in this critical sector. Clearly the financial performance of some of the institutions in the ITP sector is seen largely as a failure in governance. Failure in the wider financial sector, in national sports bodies, in local government and in many not-for-profits is often a failure of governance so there is nothing particularly special about the ITP’s in this regard. But addressing this issue in New Zealand is unusual and the Government has acted in a decisive manner. Sitting alongside this is the call for ITP’s to move out of Level 1-3 programmes. The Government is stuck between the horns of a dilemma (this might be code for two views around the cabinet table with Treasury providing impact from the bench). If significantly increased numbers of people are to access Level 4+ programmes then they will have to start below that level and be stair-cased through. There is a capacity among PTE’s for provision at Levels 1-3 but not on the scale required in some communities to get the numbers into Level 4 + that are required and where that capacity exists it is in some institutions already working as a pipeline into Level 4+. So quite simply, some slack has to be cut for the ITP sector in this area. Two other factors should also be taken into account – the extend of Level 1-3 activity in the university sector and the policy settings aimed at getting our young people moving. A little over 2% of enrolments at universities are at Levels 1-3 (this does not include the arrangements that exist for such activity for universities to take place in associated PTE’s and other such arrangements). But the range is wide – 10% of activity at one university is at these levels while at some there is none. A differentiated tertiary sector really needs to sort this out. The other aspect is the excellent Youth Guarantee policy – the opportunity for 16-17 year olds to continue their education outside the setting of a secondary school but retain the free education entitlement that applies to secondary school students up to the age of 19 years. The first iteration of this will see recipients of funding to Level 1-3 programmes. Eventually this will have to be addressed if the policy is to make a real impact in terms of numbers. The reason why pathways outside of the school system are needed in the 15 – 19 year age range is that some of the students in the schools do not make progress at Levels 1-3. It is logical therefore that the alternative pathways offered to them include a good set of options at Levels 1-3. On the one hand ITP’s are being encouraged to restrict their Level 1-3 offerings at the very time where opportunities in ITP’s at this level will be very important to the skills thrust of the Government. Finally there is the division of the ITPO sector into the six “metropolitan ITP’s” and the “regional ITP’s.” This 6/14 self-imposed split is based on the premise that there are in New Zealand two kinds of ITP that have different needs and which therefore require different responses in terms of funding, management and governance. No doubt this will all play out over time. But perhaps there is a hint in the Education (Polytechnics) Amendment Bill that allows for a single Council to have responsibility for more than one ITP that the TEAC suggestion of hub and spoke models for tertiary is about to be revived in the ITP sector. And will that tie in with the Metro / Regional distinctions? And will that tie in with the rationalisation of Level 1-3? I think that is trying to stretch what is happening into a conspiracy and a little too far! The key action is the interface between the K-12 education system (ECE / Primary / Secondary) and postsecondary. For mn60% of students the system is functioning well and existing provision is quite adequate. the acquisition of meaningful industry-recognised qualifications. That is why the ITP sector is crucial and has to be working well. And none of this is to say that there are no issues in the rest of the tertiary sector but the Government has identified the right plce at which to make a start.